Hello lovelies, so I've finally stepped away from the new Rita Ora Rimmel polishes after saying I was going to do one more but I ended up buying more of them and they would have all ended up on here so I thought I would change things up a bit. I was shopping with Dan and Oscar on Monday and how depressing it is to go into Topshop when your the size of a whale and everything is so summery and gorgeous what other option do I have than to eye up the nail polishes? 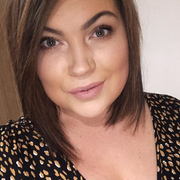 My local Topshop is rubbish and only has this 'beauty' side to it, no lipsticks or anything! 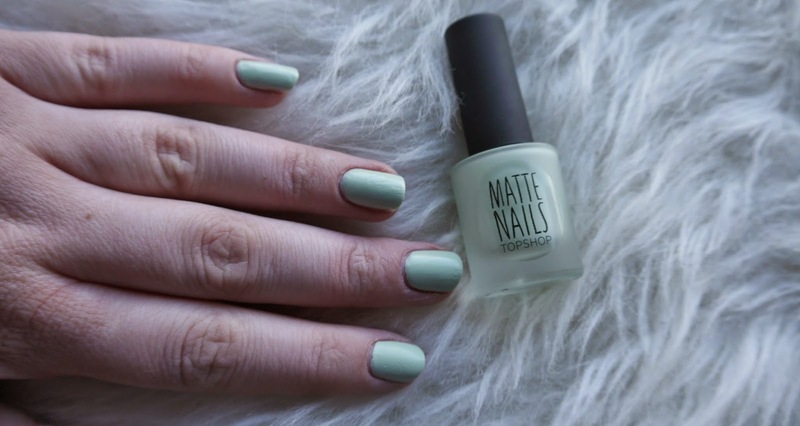 So after a few minutes eyeing up the polishes I actually picked up this matte shade, I thought it was a perfect shade for spring and I am a huge fan of minty greens. It is very similar to their 'gone fishing' normal nail polish but obviously different finish and a touch lighter. I'm not usually one for matte nail polishes as I think they chip far to easily but I loved the shade so much I had to get it. I also like the packaging of their matte nail polishes, the frosted bottles just look elegant on my nail polish stand, simple yet sleek. You only need 2 coats for a completely opaque finish and they claim to be long lasting so shall have to update you with that, see how long these last. It does leave a nice soft velvet finish on my nails though and it is quite drying which is always a plus for me, I hate waiting around for ages for the paint to dry before I can do anything. 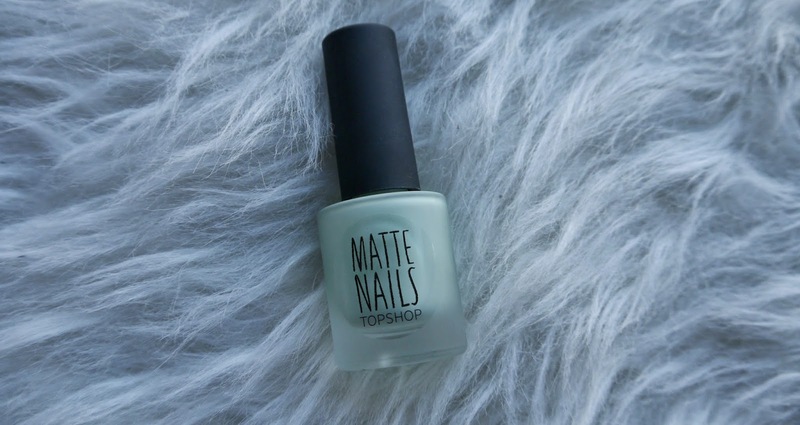 Have you tried any of the Topshop matte nail polishes?